Huawei took its time to launch the Mate 20 Pro in India last year, but it was worth the wait as it turned out to be one of the best Android smartphones of 2018. The company is now rolling out a new firmware update for the phone in India, which fixes a few inconveniences we had with it as well as some performance improvements to EMUI. The update is available over-the-air (OTA) and will reach all Huawei Mate 20 Pro owners over the coming days. We heard reports about the update rolling out last month and now, it has finally hit India. The OTA update is probably being rolled out in batches but luckily, our test unit immediately picked it up when we went to update it. The update is 785MB in size, with a new software build number of 9.0.0.183. However, the version of EMUI is still the same at 9.0. One of the big changes can be found in the camera app of the Huawei Mate 20 Pro (Review). The Super Macro feature in the Mate 20 Pro is now a separate shooting mode, which can be accessed by going to the ‘More’ tab within the viewfinder. Previously, this feature could only be enabled automatically by pointing the camera really close to a subject (as close as 2.5cm), after which it would switch to the wide-angle sensor automatically. The various zoom modes such as 1x, 3x and wide-angle, can now be accessed more easily thanks to dedicated markers in the viewfinder. The update is also said to bring performance improvements to face unlock “in certain scenarios.” We didn’t face any issues with the face unlock when we tested the phone and even after the update, it’s hard to tell what has actually improved. Other than this, EMUI gestures are also said to have gotten smoother and the update is said to have improved the call experience “in certain scenarios,” whatever those may be. 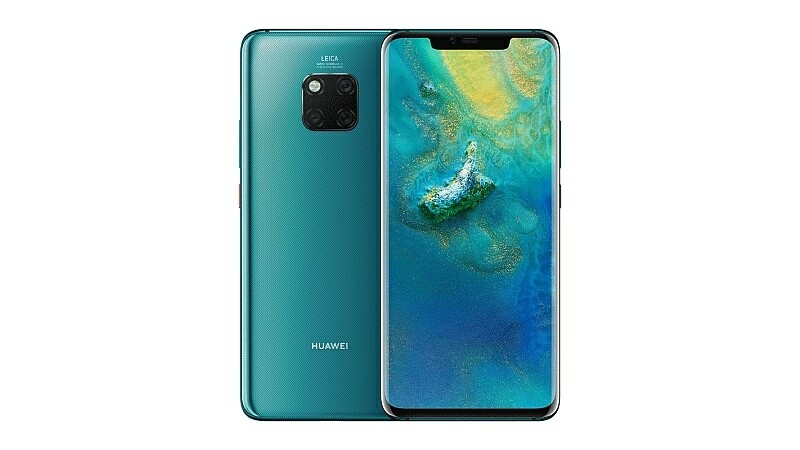 The Huawei Mate 20 Pro is the company’s current flagship offering, which boasts of a 6.39-inch QHD+ OLED display, IP68 water resistance, wireless charging and three rear cameras. It’s the first phone to ship with the company’s 7nm Kirin 980 SoC and it comes with 6GB of RAM and 128GB of inbuilt storage. It’s also one of the first phones in the world to support Huawei’s proprietary Nano Memory (NM) card format and the first to support reverse wireless charging, which lets you use the Mate 20 Pro as a Qi wireless charger for other phones.